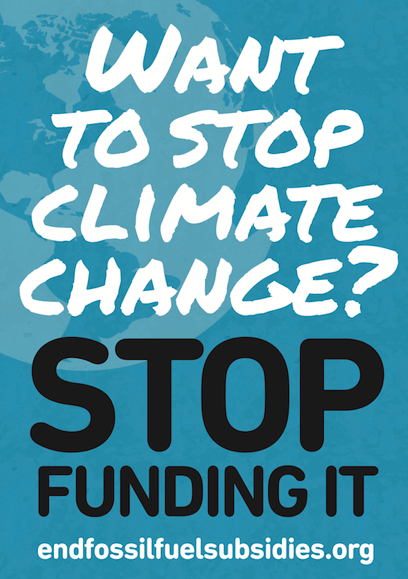 350.org is organizing a 24-hour Twitter Storm to pressure world leaders to #EndFossiFuelSubsidies. There is a really easy-to-use tool that allows you to tweet the hashtag and mention politicians. The campaign started earlier today, so less than 24-hours to go! Spread the word and build support!